Personalize this promotion tee with your own text to celebrate the coming of your new baby. 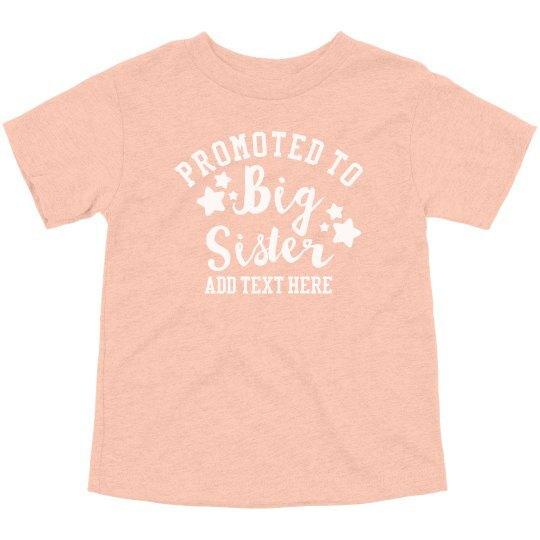 Transitions can be hard, but help your little girl fill the new role by getting a big sister shirt to wear. Also check out the big brother version too!